Spanish authorities say Fasen is the ringleader of the syndicate, which allegedly slaughtered stolen and sick horses before sending them into the food chain. Convicted food fraudster Jan Fasen was arrested for masterminding a new illegal horse meat distribution network, writes John Robbins for the International Business Times. Here’s more from the same article. A Dutchman at the centre of the 2013 European horse meat scandal has been arrested in Spain accused of masterminding another illegal horse meat operation. Jan Fasen was one of 25 people arrested in Spain, on 4 April, allegedly involved in large-scale horse-meat fraud, supplying food for human consumption in Belgium, Italy, Romania, the Netherlands and France. Fasen’s company Draap was at the centre of investigations into the infamous 2013 horse meat scandal that reverberated around Europe. The firm was found, in 2013, to have been buying horse meat from Romanian slaughterhouses and selling it to French meat processing company Spanghero. Fasen maintained the produce was clearly labelled as horse meat when he sold it on to the French firm although Spanghero claimed that it arrived labelled ‘Beef — originating from EU’. 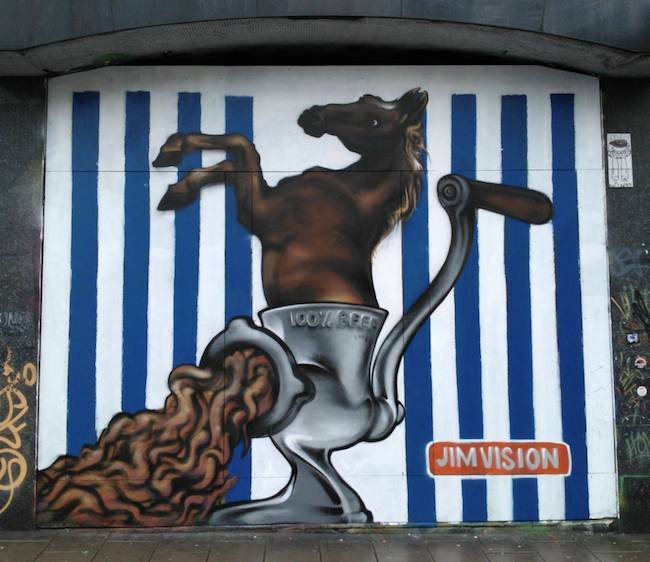 The EU yesterday (15 March) toughened oversight of the food industry in Europe, including unannounced inspections, as MEPs approved legislation to prevent a repeat of a horse meat scandal. Millions of Europeans in 2013 were shocked to learn that a long list of supermarket items being passed off as beef or pork were in fact horse meat. Meatballs, sausages and frozen burgers were pulled from store shelves across the EU over the find. The new law, already approved by the bloc’s 28 member states, aims to improve food traceability, combat fraud and restore consumer trust in the integrity of the food chain. The measures, first proposed in May 2013, include tighter inspections and fines for companies found to have intentionally deceived consumers. The new measures will be applied before the end of 2019.